The Nashville Sounds hit three home runs Sunday afternoon, but it wasn't enough in a 5-4 loss to the San Antonio Missions at Nelson W. Wolff Municipal Stadium. Tuffy Gosewich drew a bases loaded walk off Nashville starter Taylor Hearn in the second to give San Antonio a 1-0 lead, and Tyler Saladino's two-run triple off Miguel Del Pozo in the bottom of the fifth extended their lead to 3-0. After Davidson's solo homer drew the Sounds to within a run at 3-2 in the sixth, San Antonio got the runs right back. CD Pelham entered the game in relief and walked three straight batters. Both came around to score on separate run-scoring singles to make it a 5-2 game. 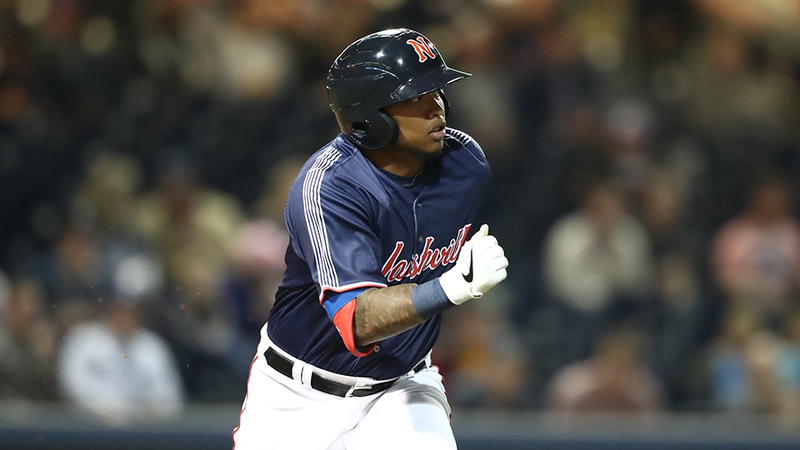 Nashville wasn't done yet, however, as Calhoun sparked a rally in the top of the eighth when he started the frame with a base hit to right field. Ibanez followed and cranked a two-run blast to left field to trim the deficit to 5-4. The Sounds had two opportunities with a runner in scoring position later in the inning, but Jett Bandy and Hunter Cole struck out to end the threat. Jay Jackson entered for the Missions in the top of the ninth and worked a 1-2-3 inning to notch the save. The series finale between the two teams is scheduled for Monday morning in San Antonio. Right-hander Ariel Jurado (1-0, 2.45) starts for Nashville against right-hander Bubba Derby (0-0, 2.70) for San Antonio. First pitch is scheduled for 11:05 a.m.
- With today's 5-4 loss, the Sounds dropped to 3-8 on the season. - Andy Ibanez extended his hitting streak to a team-best eight games when he homered in the eighth inning. It was the second home run in as many days for the third baseman. - Taylor Hearn entered the game fifth in the Pacific Coast League in strikeouts. He notched seven in four innings to bring his season total to 20. - The three home runs hit by Nashville is a single-game team high in 2019.